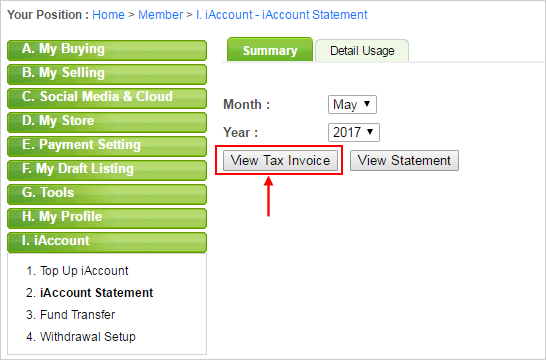 Step 2: Select Month / Year that you want to view your tax invoice then click “View Tax Invoice”. Your tax invoice is generated now. * Note: Tax invoice can only be generated on month end.